Ukraine-Russia Summit: What will Poroshenko Hear from Putin in Minsk? Ukraine considers itself to be in a state of war against Russia – if not legally, then in fact. “We are defending ourselves against Russian aggression” is the position of the Ukrainian government and a sentiment shared by a majority of the Ukrainian population. And Kiev is requesting help – financial, military, and also political – from the West, claiming that the aggression from Moscow was provoked by the European leanings of the Ukrainian people. 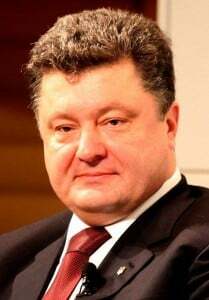 Poroshenko is threatening Russia with sanctions from Ukraine and demanding that Western sanctions against Russia be beefed up in order to force Moscow to withhold support from the insurgents in eastern Ukraine. Kiev cannot eradicate the rebels on its own – after flexing its military muscle for over three months, the only result is that the civil war in Ukraine can now unequivocally and conclusively be labeled a protracted and bloody affair. But Kiev cannot abandon its military operation because the personal interests of the ruling elite, as well as the position of the United States, encourage attempts to resolve the issue by force. Poroshenko does not run the country single-handedly – but in some manner he seems to personify the entire nation. 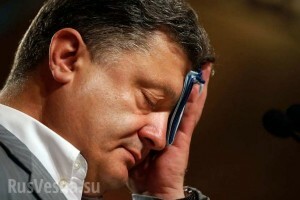 What will Poroshenko hear from Putin in Minsk? That the Ukrainian state stands poised between life and death. By spurning peace talks with Novorossiya, Kiev is digging its own grave. By committing herself to an armed response, Ukraine will not only be unable to preserve the unity of the country, she is destroying the last chances for her nation to be resurrected in any guise. Continuing down her path toward integration with Europe, which the Ukrainian parliament should conclusively ratify in September, will deal a mortal blow to the Ukrainian economy that is collapsing as a result of the war and the decline in trade with Russia. Even before the war began, we warned you that if you signed this agreement we would defend our markets. Ukraine is threatening us with sanctions? Are you trying to put the kiss of death on your export trade to Russia? And where are you going to sell your products? You think help will come from overseas? No, they don’t have that kind of money (so claim the European Commissioners with utter dejection). You’re threatening to block the passage of our gas into Europe, while at the same time preparing to have it shipped to you via Slovakia? How will you feed your people this fall, President Poroshenko?